65 years ago, on November 20th, 1949 Turkey and Syria played a match that would prove very likely the most pointless FIFA World Cup qualifying match in the history of the competition. 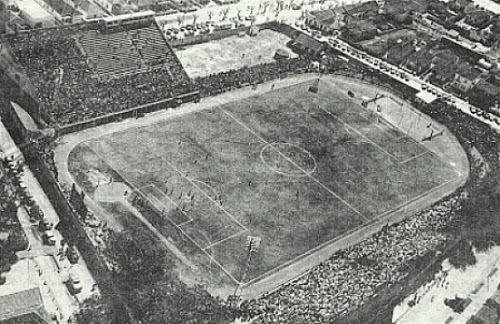 Leading up to the 1950 FIFA World Cup in Brazil, Syria was allocated a European zone spot in what would be their first World Cup qualifying campaign in the history of its national team. Their lucky opponents were Turkey who as expected would go on to thrash the young federation. In a match hosted at the Ankara 19 Mayıs Stadium in Turkey, the home side came out 7-0 victorious with the second leg still to play. The winner of the two-leg affair was due to play the Austrian squad for a spot in Brazil the following summer. But the match on November 20th would be the last played for any of the teams mentioned in this article. 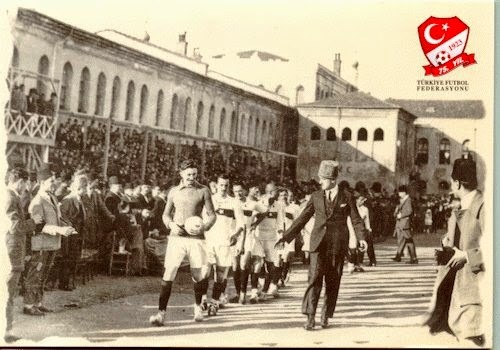 Before the second leg between Turkey and Syria was to be played, Syria's team withdrew from the competition and handed the Turks a direct pass to face the Austrians. Austria would also go on to withdraw from their matches before any were played. This of course would mean that Turkey unbelievably was handed a 'freebie', qualifying to the 1950 FIFA World Cup after having played just one match. But like a script in a film that smacks the viewer with a twist at every corner, the Turkish federation decided to withdraw from the World Cup in Brazil before the group draw even took place. Surely, making Turkey's match with Syria 65 years ago to the day, the most pointless qualifier ever played.